Olivet Business School (OBS) Manhattan campus recently hosted a faculty meeting to discuss the school's academic programs and developments. The faculty team expressed its commitment to build a competitive global business study and research program. OBS Dean Jacob Chatterjee announced two new academic programs: Ph.D. in Business Management and Certificate Program in Accountancy. The school plans to open enrollment for both programs in the second half of this year. "We are excited to see more opportunities offered to our students to do research as well as the various new programs that will equip them to succeed in life. We want our students to benefit from being part of an interconnected, research-oriented university," Chatterjee said. The faculty have acknowledged the cultural struggles and challenges the international students are facing due to globalization. To address the issue, the school will offer additional courses that will help students compete and thrive in the global business environment. "We plan to offer courses on specific subject matters such as global brand management, global economy and international finance. 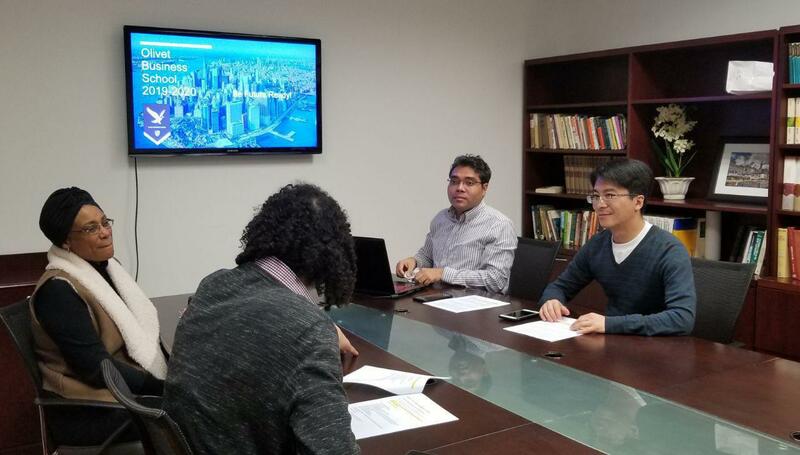 We want help student understand the importance of cross-cultural management techniques, international marketing, consumer behavior and psychology, region-specific management and more," Chatterjee said. Professor Lisa Tolliver shared that teaching students and serving in a university that has a strong Christian foundation was very "fulfilling." Tolliver enjoys a prodigious career in academia and has held senior management positions in the corporate world. She feels OBS is uniquely positioned to groom students for success and help them grow in Christian faith. Strategies to strengthen the recruitment of both top academics and students were also discussed in the meeting.